Adding a deck to your home can be a worthwhile investment. Not only does it increase the usable entertainment space of your home, but it can also be a valuable asset during resale. While decks are not always created equal, one of the most important parts of the installation process is choosing a decking contractor that will provide beautiful, high-quality results. Whether you are interested in a screened-in porch, composite decking, or traditional hardwood installation decking, there are a few questions you should consider asking your potential decking contractor during the vetting process. Is the Company Both Licensed and Insured? When researching your contractor options, the first clear distinction to make involves licensing. Depending on the regulations in your area, licensed contractors may be your easiest and best route to permit approvals if and when they are needed for your project. Although some areas do not require hiring a licensed contractor for your project, it is in your best interest to protect your home and your assets. Similarly, insured contractors help to ensure you are not footing the bill for incomplete projects, property damage, or worker injuries that could occur while your decking project is being completed. Will the Contractor Provide References? A reputable contractor should be willing to provide examples of past projects as well as customer experience references. In addition to contractor-provided resources, crowd-sourcing for recommendations is also a viable option. Note that most individuals will take the time to report a negative experience over a positive one, so online reviews might not give the full picture. Ask for pictures of examples and insight from previous clients about their experience to get a well-rounded review. What Are the Decking Material Options? If you have a particular project in mind, make sure to find out if your contractor of choice has experience with the type of decking material you want to use. Some contractors may be well-versed in hardwood installation but have little experience with composite or aluminum decking. Ask your contractor for examples of completed work pertaining to the specific type of deck you are planning. Does the Contractor Provide Written Documentation? How Does the Contractor Ensure Satisfaction? Ask your intended contractor what processes are set in place to ensure you will be happy with the finished product. Does the company have a guarantee? Does it have a management team in place to make sure the project is correct the first time around? Does the contractor have a reputation for high-quality craftsmanship in the completed work? The representatives should be able to provide a history of the company, including how long it has been in business and the company philosophy. 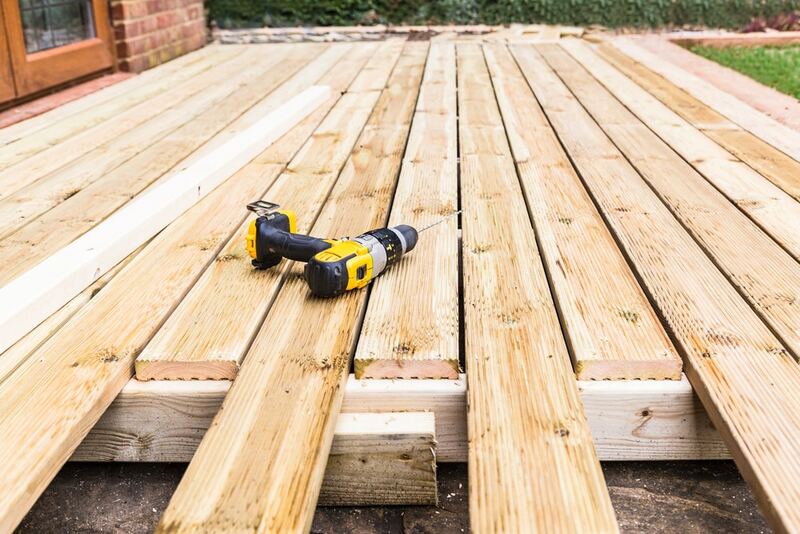 If you are seeking a high-quality and reputable decking contractor for your deck renovation or installation, contact All Exteriors LLC to ask your initial question and schedule a consultation. Their team can take your vision of the ideal exterior entertainment space and make it a reality.